The NBA Championship futures market has the Golden State Warriors installed as an -200 odds on favorite to win their third straight title. The current futures betting for the NBA’s most valuable player award is equally as one sided. 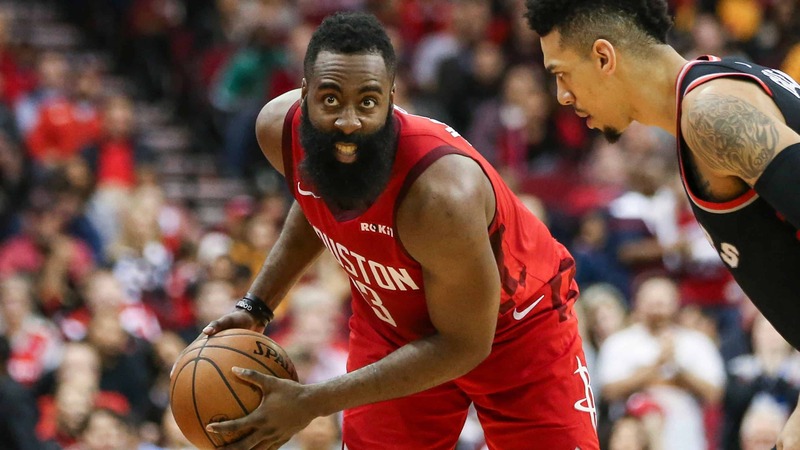 Houston Rockets’ superstar James Harden is a -225 favorite to win the regular season MVP. The only other player at single digit odds is the Milwaukee Bucks Nigerian/Greek scoring machine Giannis Antetokounmpo. Antetokounmpo is considered a strong challenger at +300. The next closest player is Golden State’s franchise guard Stephen Curry at +1200. Based on scoring accolades alone it’s tough to make a case for anyone but James Harden. His numbers are downright ridiculous with a 36.3 points per game average along with 8.2 assists per game and 6.6 rebounds per game. His recent form has been even better and as of this writing is putting up historical numbers. As of January 29, Harden has scored 30 or more points in 23 straight games. This is the most in NBA history by any player not named Wilt Chamberlain. With all due respect Harden, nobody is touching Wilt’s record of consecutive 30+ games which is an absurd 65. Wilt also holds the second and third longest streaks at 31 and 25. Wilt also holds the record for most consecutive 40+ point games (14), most consecutive 50+ point games (7) and most consecutive 60 point games (4). While we’re add it it should be noted that Wilt is the only player in NBA history to ever score 60 or more points in back to back games. Harden’s scoring stats are mind blowing but second favorite Antetokounmpo can also make a strong case for the NBA MVP Award. He’s only averaging 26.6 points per game but he’s also averaging 12.7 rebounds per game—in other words, Antetokounmpo averages a ‘double double’ every night. To the extent that the MVP award is reflective of team performance Antetokounmpo’s Milwaukee Bucks currently have the best record in the NBA. Furthermore, the Bucks’ 35-13 record as of this writing is 6.5 games better than the Rockets’ 29-20 record. You can also make a pretty strong argument for Steph Curry particularly based on team performance. Curry is putting up a solid 29.3 PPG which is 6 more than his career average of 23.5. Given that he’s already won two MVP awards in his career to exceed his average this year by so much is very impressive. There’s also one thing on his resume that neither Harden or Antetokounmpo can claim—he’s got a NBA Championship to his credit. Actually, he’s got three of them and could get his fourth this season. Since only one team in the past 25 years has won three straight titles (the Los Angeles Lakers in 2000, 2001 and 2002) that accomplishment is tough to match. Other notable names on the NBA MVP futures odds board include LeBron James (+1600), Paul George (+1600), Kawhi Leonard (+1700), Damian Lillard (+5000), and Chris Paul (+10000).